A Harvard-Harris poll on January 17-19 of 980 registered voters found a rare high degree of consistent support for an immigration package being proposed by the White House. Every category of political leaning and demographics said it would support the deal by a majority of between 60% and 75%. Liberals like it by 63%; conservatives, by 68%. When asked, not about a deal, but about specific features, 77% said yes to Dreamer access to citizenship. Even conservatives agreed by 64%. However, there is wide disagreement about the preferred number of permanent immigrants per year. The respondents were not told the current rate of about one million. Conservatives want a level of well less than 500,000, even below 250,000, while liberals want between 500,000 and million. College educated persons and those earning $75K or more tend to be more open. The lottery system is unpopular by 32% in favor, 68% opposed. 16% of Republicans think that border security is adequate, compared to 60% of Democrats. On January 25 the White House issued a one page statement on immigration reform. Dreamers to become citizens in 10 to 12 years requirements yet to be determined for work and education, as long as they do not commit crimes. Total Dreamers estimated at 1.8 million. Border control: $25B for wall and border security improvements, increase law enforcement at border, and expedite removal of illegal border crossers. Limit family reunifications to spouses and minor children, removing parents, siblings and older children. This will reduce annual family unification by at least 287,700. Currently about 650,000 persons receive green cards based on family. End diversity lottery of 50,000 green cards a year. Many immigrants who are here on permanent visas (green cards) don’t take out citizenship, but most do, and the rate has gone up. According to Pew Research, naturalization rates rose from 62% in 2005 to 67% in 2015. Eligible immigrants from Vietnam, 86%, and Iran, 85%, had the highest naturalization rates of any group in 2015. Above 80% rates are seen for India, South Korea and a few other countries. The rate among Chinese is 76%. Mexican immigrants have long had among the lowest U.S. naturalization rates (42%) of any origin group. I bet the higher rate of naturalization is due to more eligible persons being from Asia than from Mexico. There are about 45 million foreign-born persons in the U.S. 44% of them, or close to 20 million, are naturalized citizens. An estimated. 9.3 million are eligible to apply for U.S. citizenship (that doesn’t mean they will pass the tests). That leaves about 2.6 million legally here but not yet eligible for citizenship. The 11 million illegal immigrants are of course not eligible. To be eligible for U.S. citizenship, immigrants must be age 18 or older, have resided in the U.S. for at least five years as lawful permanent residents (or three years for those married to a U.S. citizen), and be in good standing with the law, among other requirements. The process to begins with submitting an application and paying a $725 fee. It culminates with an oath of allegiance. Current processing times range from seven months to a year. The U.S. government denied naturalization applications from 2005 to 2015 to 11% of the 8.5 million applications filed during this time. The standards are here. Ability to speak English is one of them but there are exemptions based on age and length of time in the U.S.
A single example: Barket Farah, who entered the U.S. in 2016 as a Somali refugee, reunited with his father in Portland, Maine. He has been trying to bring over his wife and three children, who have been living in the sprawling Dadaab refugee camp in Kenya. 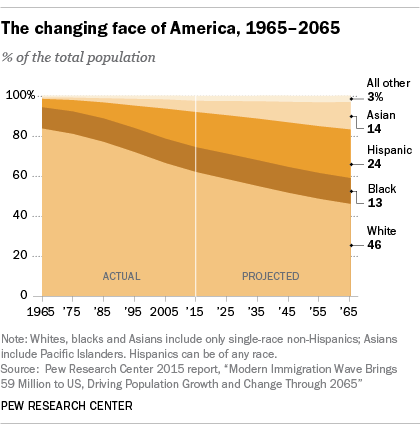 Over the past 150 years, the great majority of immigrants have come to the U.S. through connection with family and friends of prior immigrants. This is called chain migration, although usually the term is used only to apply to immediate family members. The term started to be used in the 1980s. The official record before the last few decades is spotty. But anecdotes and personal family history indicate that, in the last major wave of immigration, in the 1890s – 1910s, chain migration was the norm. Who is concerned about chain migration? Who would consider it a problem for an individual who has immigrated to the U.S. to bring in her or his parents and children? Don’t we believe in the family unit? Immigration restrictionists focus on chain migration by families (family reunification) in the past 30 years. For example, “Over the last 35 years, chain migration has greatly exceeded new immigration.” Their concern is based on (1) too many immigrants, and (2) immigration policy that does not weigh economic merit scoring enough. The large majority of immigrants since the 1965 reform act has been family based. However the dominance of family based immigration has been a bipartisan concern for decades. In the 1990s, the Jordan Commission on Immigration called for a shift to merit based immigration. A proposed immigration reform act in 2013 would have eliminated access to visas for siblings and children over the age of 30. This bill was the last instance of a bipartisan effort for comprehensive immigration reform. The best, really the only way to deal with chain migration is through a bipartisan consensus. Why is immigration so family based? Congressional conservative objected to merit based immigration during debate for the 1965 immigration, expecting that would favor Asians. They thought that family-based immigration would favor European immigration due to the fact that current immigrants were overwhelmingly Europeans. How extensive is chain migration? One report says that out of 33 million immigrants admitted to the United States from 1981 to 2016, about 20 million were chain migration immigrants (61 percent). The largest categories of chain migration are spouses and parents of naturalized U.S. citizens because admissions in these categories are unlimited by law. Each new immigrant sponsored an average of 3.45 additional immigrants. Mexico has the highest rate of chain migration. In the most recent five-year cohort of immigrants studied (1996-2000), each new Mexican immigrant sponsored 6.38 additional legal immigrants.